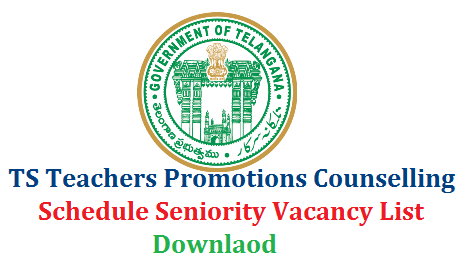 Secondary Grade Teachers School Assistants of various subjects vizz Telugu Hindi English Mathematics Physical Science Bio Science Social Studies are eligible to get promotions. As per the district seniority list Promotion counselling will be conducted by District Educational Officer. After display of Subject wise senority list for Promotions, officials invite objections on the list. Final Seniority list will be displayed just before of Promotion schedule. As per available vacancies, through the seniority list officials conduct counselling to the willing aspirants.